Need to know something right away? How do you go about learning the answer to the questions you have? Do you Google it? If so, you may have noticed that the Google logo is constantly changing. Do you ever wonder why that happens? What’s really the point — there has to be a good strategy behind it, right? The ever-changing logos are called Google Doodles <check them out here!> and they have a long history. They began in 1998 when the Google founders, Larry Page and Sergey Brin, tweeted the logo doodle to show they were attending the Burning Man festival. This was before the company was even incorporated, but they used a simple, creative idea to tell Google users that they were “out of office”. Two years later, Larry and Sergey asked an intern to produce a doodle for Bastille Day. The users of Google loved it, and they started having a greater demand for a designed homepage. 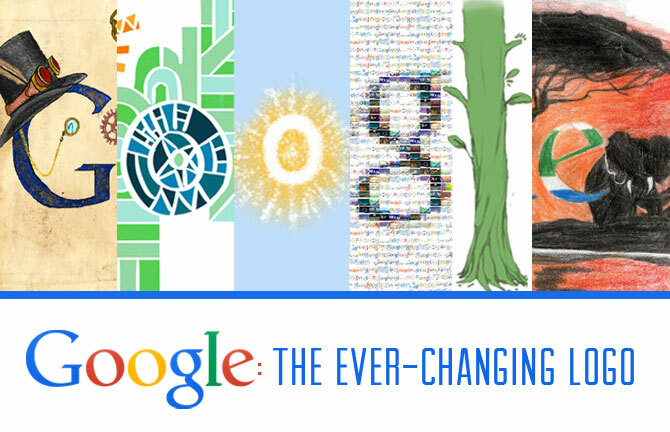 Since that first doodle in 1998, the team has created over 2000 doodles for Google around the world. In terms of branding, Google is one of the few companies that change their logo on such a consistent basis. According to David Reibstein, a marketing professor at Wharton, Walmart has had only six logo changes in the past 50 years. With Google, it seems almost daily. So how do they choose? Simply by brainstorming they find interesting events and anniversaries that reflect Google’s personality and love for innovation! And each fall they give students from around the world the opportunity to “Doodle 4 Google” to create a doodle that best represents the contest theme. “To make the world a better place, I invented a transformative water purifier. It takes in dirty and polluted water from rivers, lakes, and even oceans, then massively transforms the water into clean, safe and sanitary water, when humans and animals drink this water, they will live a healthier life,” Zhang said of their creation. So next time you see a Google logo that is different from the norm, click on it and learn about. After all, if Google thinks it’s important, we should probably listen (it knows everything! ).